There is a lot of ‘simultaneous’ usage of various, available digital and traditional platforms across all age/demo categories. Radio is still #1 in total audience reach during an average week, reaching more than 92% of all Americans, more than any other platform. The top 3 Total audience reach mediums (in this order) are Radio, Live & Time Shifted TV, and App/Web on Smartphones. The only place to be after 11 pm is on TV. Adults 18-34 spend more time on digital than any other media or any other age group. 18-34s are watching very little live/time-shifted TV. DVD usage is rapidly declining. Smartphones enjoy the greatest % of ownership in TV households (90%). 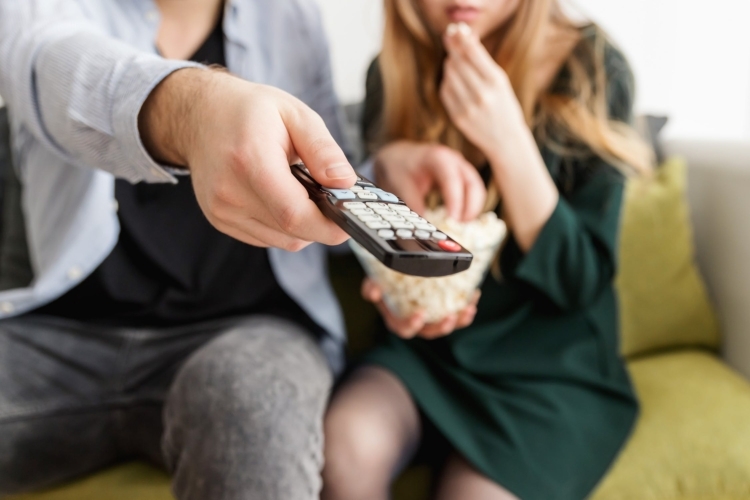 ‘Over-the-Air’ (not connected by cable) TV usage is growing in all demo/cultural segments. Prime Time reach is still 7-9pm, peaking at 9 pm. There are marked differences in racial/ethnic media usage. Asian Americans listen to very little radio. Hispanic Americans listen to a lot more radio. Black American audiences watch substantially more Live/TS TV than other races. Smartphones are most consistent in time/usage across all ages, ethnicity/races, averaging 2.5 hours a day. Over 50% of all adults use digital devices while watching TV, and 70% of those are looking up information related to viewed content. The biggest takeaway I derived from this 18-page report was that you must understand your local/regional marketplace audience target to maximize your media spend effectiveness. Unfortunately, most automotive marketing vendors try to fit automotive clients into the mold of their products and processes. If you conduct a one-page media habits analysis with each customer at delivery, you will not only find out what mediums the buyer is influenced by, you’ll be able to better determine a more efficient media plan filtered by the type of vehicle, (model/new/used) but by zip code and age. For instance, if you plan to run a weekend campaign on sporty/muscle/performance cars, that metric can be filtered/dialed in to produce the media usage of previous customers who bought that type of vehicle. As you dig through the Nielsen report, a couple of things jump out at you. If your primary target audience is Hispanic, you need to have some of your spend on the radio (not necessarily all Hispanic radio). You also want to be on live/time shift TV and have some ads on social media in a format that works best on smartphones. If your primary target audience is Asian Americans, forget radio. Spend most of your media dollars in digital. If your primary target audience is Black, make sure you have plenty of Live TV dollars in the mix. Black Americans spend almost twice the amount of average Live TV time as other demos. Your own local media habits analysis will guide you to programs/channels. Don’t jump to the conclusion that you need BET or racially specific programming. If your primary target is folks over 50, a little more weight on Live TV and radio spend but include digital ads including social media. More folks over 50 are more addicted to social media than you might imagine. One of the most interesting aspects of this report for digital ad buyers was the fact that smartphone usage dwarfs the Internet on the computer. In other words, more people are looking at APPs/Web on the Smartphone in all age demos than on a desk, laptop or tablet computer. That requires some very creative thinking on the part of your content provider for your own content. Not only from the placement side but from what your creative looks like, how effective the message and how easy it is to use interactively and direct folks to your own site or communication link. And what will you advertise? Is it only price/payment with links or is there any room for ‘share of mind’ branding of your dealership? Media usage by time of day is an important metric to look at. If you want to hit the absolute maximum number of people in every age group, just place all of your ads at 9 pm and all will be fine. Radio’s greatest strength is 8 am till 5 pm peaking around 3 pm. Live TV is strongest from 6 pm till 11 pm, and its king of the hill from 11 pm till dawn. And even though you won’t hit as many eyes and ears after 11p, 73% of media time spent at11 pm is on TV. Prices are dirt cheap overnight and the eyes and ears you do hit will be at an effective rate. An important point to make is, with ever increasing (multi-tasking) simultaneous use of various mediums, in particular where digital media is used to gather information on an ad on traditional media, it is more important than ever to support that interactively with an easy to access, easy to remember URL and/or phone number for your dealership. A dealership website was important 10 years ago. Today, it is critical in the success of landing potential buyers on your turf and developing a thread of communication, that hopefully leads to a sale. Even on third-party sites like TrueCar, Carfax, CarGurus, etc., a customer may abandon that site and search for your own website to get details on a vehicle. What you have on your website must align with the information out there in the digital universe, wherever it is found. One of the tactics some of the major hotel brands have used in skirting third-party site bookings is the price guarantee. Marriott and others offer a ‘low price’ guarantee along with other benefits for booking on their own site. In many ways, these chains have turned the tables on the third party bookers aggregating inventory. The savvy car retail car dealer can do the same.